The Emirate of Sharjah is one of the seven emirates of the United Arab Emirates, the Islamic and cultural center of the country and the third largest emirate in the UAE. It is located on the shores of the Arabian Gulf and is a unique cultural and Islamic radiation center in the Middle East. The emirate is known for its spectacular natural land and sea landscapes, pearl fishing and shipbuilding. 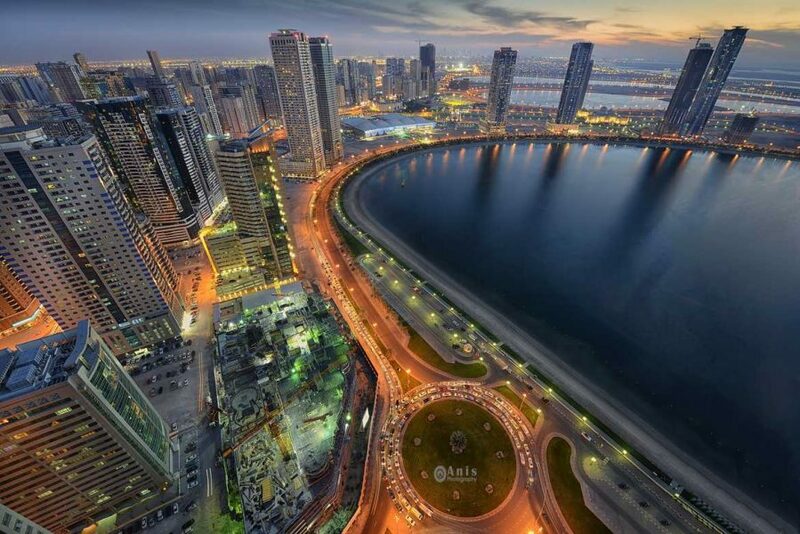 Sharjah has succeeded in the acquisition of a unique international touristic position with its oriental Islamic character combined with contemporariness. It conjoins many hotels that provide distinctive services and packages for the different kinds of tourists, and restaurants varied between fast food, fancy restaurants, local dishes and foreign ones. Sharjah International Airport is considered as a promising gateway to international air transport, as well as the port that provides sea cruises. Sharjah has a wide and extended road network that makes it easy to travel inside it and to other cities as well. Emirate of Sharjah conjoins a number of museums such as, the Sharjah Museum of Islamic Civilization, Sharjah Aquarium which contains many rare fish and various sea creatures, where visitors can see marine life through wonderful water tunnels, the Sharjah Museum of classic cars, Sharjah Natural Museum, Science Museum, in addition to the heart of Sharjah region, which conjoins a number of houses and museums such as: House of Naboodah Museum, Sharjah fortress Museum, and many houses and cultural centers such as the house of popular games, the UAE Craft Center, Sharjah Art Museum, Al-Shamsi House, in addition to the Sharjah arts area, located on the Corniche, which is a fascinating archaeological area with historical houses dating back to the eighteenth century. Aspects of architecture and Islamic civilization is very evident in mosques in the Emirate of Sharjah as they are characterized by an amazing Islamic architectural feature, including Al-Noor Mosque, Mosque of Imam Ahmad, Bara Mosque, Radwan Mosque and many others. In addition, the heritage area in Sharjah is considered as one of the most important tourist attractions. Al Qasba Canal is one of the most unique tourist attractions in the Emirate of Sharjah with its unique architectural design. It connects the Khalid and Al Khan lakes, and has bridges, boats and various events and activities called the Venice of Sharjah and has been elected as one of the top 10 authentic Arab brands. The central market or the Islamic market is another landmark in Sharjah, with 600 shops containing goods ranging between fashion, collectibles, gold, local hand-made furniture and goods and imported ones. The unique market architecture displays Emirati heritage and Islamic motifs. Furthermore, many popular markets exist such as, the market of the galaxy, Al-Arsa market, the sea market, Al-Shanaseya market, one of the oldest and most dynamic markets in the emirate, the old market, Saqr market, Where clothes, gifts, traditional stuff and many other goods can be purchased, in addition to modern markets, shopping malls and complexes, where you can purchase luxury gifts and souvenirs such as the Sahara Center, a distinctive destination for families with all the vital amenities. Sharjah is gifted with its beautiful beaches where you can take a stroll on the magnificent lake promenade, enjoy cruises, fishing, diving and many others, in addition to many beautiful attractions such as the Park, where you can enjoy the water park, the recreational park, the island of light and Al Majaz Park with its waterfront, and many other wonderful parks and gardens.